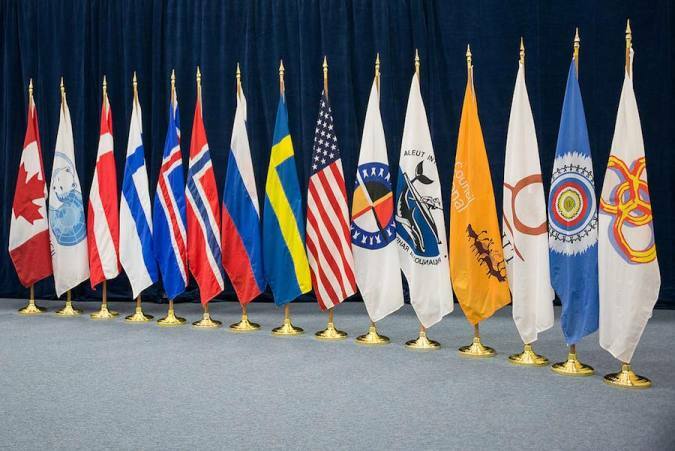 The Arctic Council is a high-level intergovernmental forum which addresses issues faced by the Arctic governments and the indigenous people of the Arctic. The Ottawa Declaration of 1996 formally established the Arctic Council as a high level intergovernmental forum to provide a means for promoting cooperation, coordination and interaction among the Arctic States, with the involvement of the Arctic Indigenous communities and other Arctic inhabitants on common Arctic issues, in particular issues of sustainable development and environmental protection in the Arctic. Member States of the Arctic Council are Canada, Denmark (including Greenland and the Faroe Islands), Finland, Iceland, Norway, Russian Federation, Sweden, and the United States of America. In addition to the Member States, the Arctic Council has the category of Permanent Participants. This category is open equally to Arctic organizations of indigenous peoples with a majority of Arctic Indigenous constituency representing a single Indigenous people resident in more than one Arctic State; or more than one Arctic Indigenous people resident in a single Arctic State. Its flag is white with its emblem, which is a arctic fox and the globe from North Pole representing the area where this organization operates. Indigenous Peoples at the Arctic Council also have flags, some of them can be seen at: http://arctic-council.org/imagearchive/caseimage_slideshowpicture_sao2.jpg. Home page of Indigenous Peoples where their emblems are available: http://www.arcticpeoples.org/. I found updated info about flag of Arctic Council. English name of the Council in blue letters is placed under two globes. "As of 2014, six Arctic indigenous communities have Permanent Participant status. These groups are represented by the Aleut International Association (AIA), Arctic Athabaskan Council, Gwich'in Council International, Inuit Circumpolar Council (ICC), Russian Association of Indigenous Peoples of the North (RAIPON), and the Saami Council. These indigenous organisations vary widely in their organisational capacities and the size of the population they represent. To illustrate, RAIPON represents some 250,000 indigenous people of various (mostly Siberian) tribes; the ICC some 150,000 Inuit. On the other hand, the Gwich'in Council and the Aleut Association each represent only a few thousand people." These indigenous communities' flags are seen here. The Aleut International Association (AIA) represents Aleut on the Russian and American Aleutian, Pribilof and Commander Islands It was established in 1998. It is 11th flag from left to right. The flag is the logo on a horizontal flag. It was established to defend the rights and further the interests internationally of American and Canadian Athabaskan member First Nation governments. It was (most likely) established in 2000. It is 10th flag from left to right. The flag is the logo on a horizontal flag. It was founded as an NGO by the Gwich'in Tribal Council in Inuvik, it was etablished in 1999. It is 12th flag from left to right. The flag is the logo after the name of the organization in dark brown letters, on a dark yellow horizontal flag. It was formerly Inuit Circumpolar Conference (Greenlandic: Inuit Issittormiut Siunnersuisoqatigiifiat). They represent Inuit (also refered to as Eskimo) in Alaska/United States, Canada, Greenland/Denmark and Chukotka/Russia. It was established in 1977. 13th flag from left to right. The flag is the new logo on a white horizontal background. It is a voluntary Saami organization (a non�governmental organization), with Saami member organizations in Finland, Russia, Norway and Sweden. It was established in 1956. It is 15th flag from left to right. The flag is the logo (in yellow and red colors) over a white horizontal flag.